Lockheed Martin is to demonstrate high-altitude, stand-off delivery of a torpedo from a P-3C Orion under a 12-month, $3 million US Navy contract. 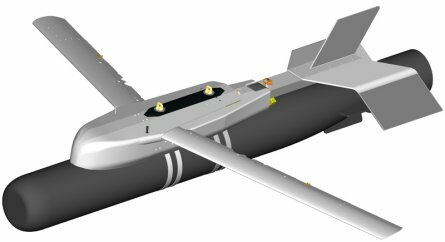 The navy’s Mk54 lightweight torpedo will be fitted with the company’s LongShot wingkit for the High Altitude Anti-Submarine Warfare Weapons Concept (HAAWC) project. Currently P-3s have to descend to 500ft (150m) to release the Mk54. The LongShot range extension kit, which includes pop-out wings, GPS navigation and autopilot, will allow the torpedo to be launched at altitudes of around 20,000ft (6,000m), avoiding the need to descend, reducing fatigue on the airframe and increasing survivability. After release from the aircraft, the LongShot-equipped but otherwise unmodified torpedo will glide to its normal launch altitude, jettison the wingkit, deploy its parachute, enter the water and begin searching for its target. Two demonstration drops are planned for November, says HWAAC programme director Alan Jackson. The demonstration requirement is for a stand-off range of at least 9km (5nm), but simulations suggest the weapon can achieve a 33-37km range, says Jackson. The wingkit will include a UHF weapon datalink, connected to a laptop in the aircraft, that will allow the crew to retarget the torpedo in flight by sending a new release point and heading. The article goes on to say that Lockheed is investigating a similar system to deploy sonobuoys, which would take care of the "detection" part of the equation -- although I think that a high-altitude radar acquisition of a snorkeling submarine would be the best method of getting a kill on those pesky diesel boats -- or a floating barrel in the water, which is what the P-3s normally pick up on. Anyway, I think this is a great idea, and one we really need to keep any potential adversaries from getting their hands on. Just popping in to say hello. I'm working on a little project... you might find interesting... www.blogmil.com which is a collection of personal military weblogs... from around the globe. What makes it cool... is it done by RSS feed... so you can cruise thru and read everybody's latest post in record time. Truthfully, you just have to see it... but... I'm pretty excited about it! Still working on it... but its coming together. Stop in some time. Quick question - don't the Orions have to fly relatively low to detect these targets, at least low enough to be similarly detected? They have to me low to use their MAD (magnetic anomaly detector) gear, but if this new system also works to deploy sonobuoys, they wouldn't have to fly low at all. I would say this has everything to do with making the the 737 based P-8 a viable ASW aircraft. First off is the issue of survivability. The P-8 will be spending much of its life in the Littorals. The P-3s only combat losses were in the littorals. Also, while the 737 "next gen" is a superb machine for conveying people economically, it is not your granddaddy's Boeing. This aircraft is built for efficiency, not over engineered ruggedness. Without vulnerability reduction modifications (which are being done for the P-8) the 737 will find a smoking hole pretty quick if it encounters even a little bit of shrapnel (HPM is another threat). Even so, there is only so much that can be done to harden a modern airliner. Also, this aircraft is not well suited for tooling about on station down low. Yes, Boeing did the little dog and pony show which was a variation of the ETOPS engine out scenario, but that presupposes the aircraft will stay low and go to the nearest airport. Treating a P-8 like a P-3 and repeatedly descending and climbing will drastically reduce on station time. The P-8 is a different kind of airplane and will require different doctrine, tactics, and delivery systems. Just an opinion, the day of low flying P-3s is over. The US just recently launched an AIM-9x from a sub. Any low fly MAD detectors will likely get smoked. And in the littorals the low flying P-3 is even in more danger due to MANPADs.